48 Members enjoyed this visit. A big thank you to Pam Davies for having organised this outing. 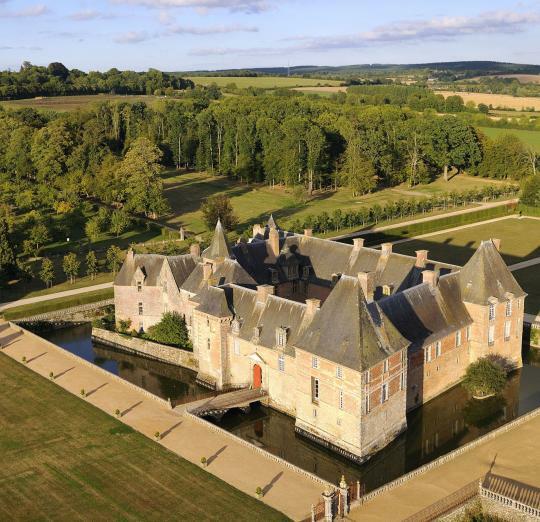 The Château built of brick, granite and slate remained in the same family from the 14th century until 1936. It has kept the original furniture, portraits and interior décor, as well as water moats and 17th century iron-works in the grounds. Meet in the car park at 11.45am for lunch at 12.00 noon. Should be finished by about 3 o’clock. Including water, white or red wine, cider, coffee. 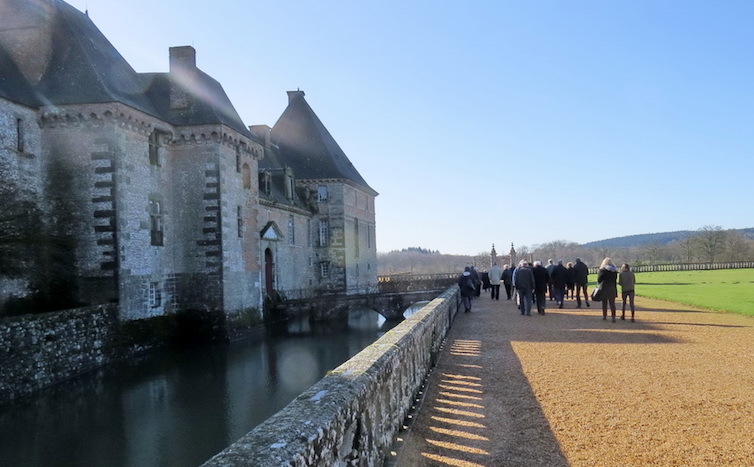 Followed by a Guided Tour of the Château’s many halls and rooms including Louis XI’s bedroom, the great hall and the portrait room. €15 per person all inclusive; lunch, drinks and guided tour. 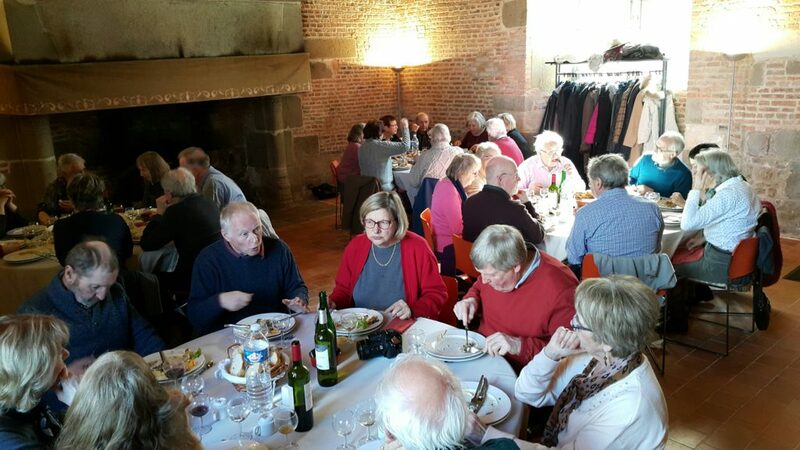 This outing is subsidised for the benefit of EuroMayenne members. Numbers are limited: first come, first served. to arrive no later than Friday 2nd February.